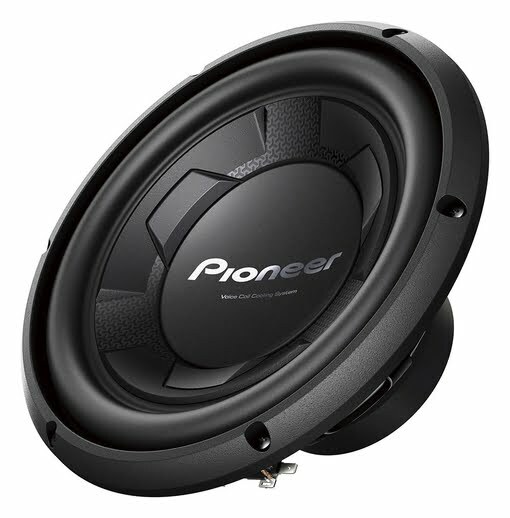 The Pioneer TS-W106M gets you powerful, punchy bass in your car – from the pedigree of world record-breaking subs. This subwoofer features an IMPP composite seamless cone, which delivers superior durability and rock solid bass, from it’s ultra-rigid, yet lightweight structure. All of these combined gives you low distortion and powerful bass at high sound pressure levels. Years of research & state-of-art production facilities is our secret behind every Pioneer speaker’s quality sound reproduction. Our popularity with you have attracted cheap speakers being sold under Pioneer brand name. Use the 3-D hologram on the speaker package to identify a genuine product and safe-guard yourself from cheap fake products. For more power translating into loud bass sounds. Urethane improves stability and durability of surround holding the cone. Push teminals ensure safe connectivity and avoids loose connections.